Bilingual Program for me ? 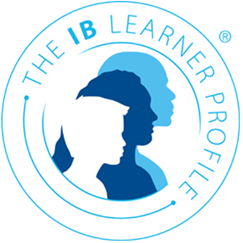 The mission statement of the IB is converted into a set of learning attributes called the learner profile. The learner profile attributes describe the type of learner IB hopes to develop in each of the programmes. This provides a clear and explicit statement of what is expected of students, teachers and school administrators in terms of learning, and what is expected of parents in terms of support for that learning. They explore concepts, ideas and issues that have local and global significance. In so doing, they acquire in-depth knowledge and develop understanding across a broad and balanced range of disciplines. They exercise initiative in applying thinking skills critically and creatively to recognize and approach complex problems, and make reasoned, ethical decision. They act with integrity and honesty, with a strong sense of fairness, justice and respect for the dignity of the individual, groups and communities. They take responsibility for their own actions and the consequences that accompany them. They understand and appreciate their own cultures and personal histories, and are open to the perspectives, values and traditions of other individuals and communities. They are accustomed to seeking and evaluating a range of points of view, and are willing to grow from the experience. They show empathy, compassion and respect towards the needs and feelings of others. They have a personal commitment to service, and act to make a positive difference to the lives of others and to the environment. They approach unfamiliar situations and uncertainty with courage and forethought, and have the independence of spirit to explore new roles, ideas and strategies. They are brave and articulate in defending their beliefs.